BRISTOL FLOOR PLAN - SOUTH FACING - GREEN MT. VIEWS! 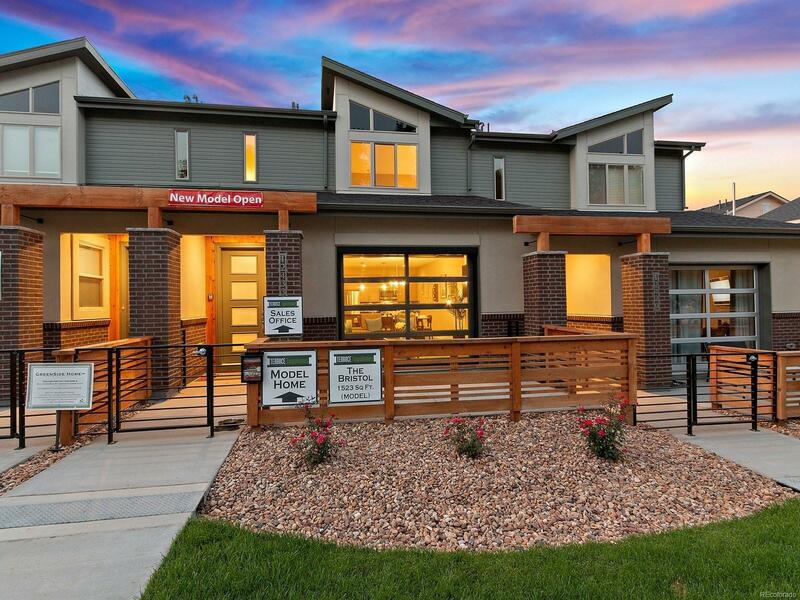 TERRACE TownHomes are high quality, modern and contemporary-built GREENSIDE. 2 Story models have Laundry upstairs and feature 2 sinks in the master bath and large walk-in closets. Ranch model has 2 sinks in the master bath, huge walk-in closet and Tech Room or Library. ALL models include a unique roll-up insulated, all glass, window garage inside the great room that opens to the spacious enclosed patios - LET THE OUTSIDE IN! Gourmet Kitchens with Granite and Standard Whirpool appliances including a built-in microwave. Granite in all bathrooms! Standard Thermatru entry door with 4 glass panels in all models! Standard wood/metal detail on stair railings, Standard upgraded designer lighting package with LED bulbs, Standard exposed beam construction, Standard 2 car garage. Close to trails. Green Mountain views abound! Open House every Saturday and Sunday, 12 to 5 pm. at Green Mt. Terrace: 12433 W. Virginia Ave.